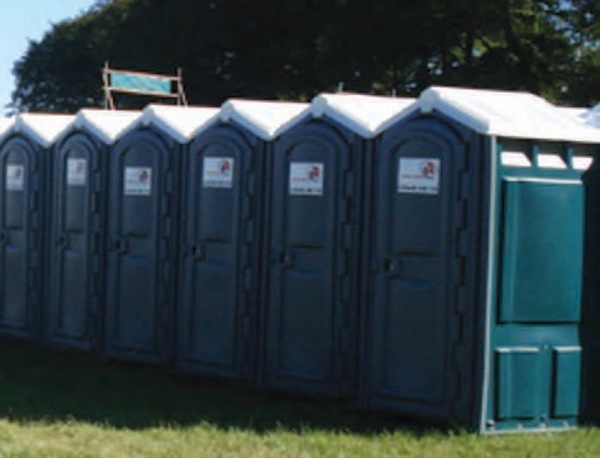 A1 loo hire are the market leaders for the supply and on-site servicing of portable toilets to the events industry. 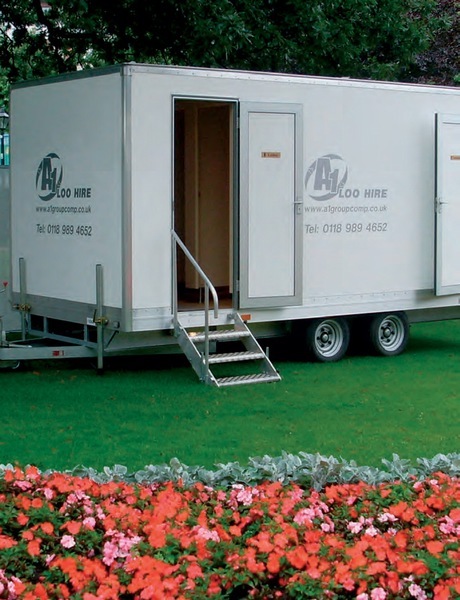 A1 Loo Hire is the portable loo toilet division of the A1 group of companies – one of the UK’S leading integrated waste management companies. Our extensive range of single and trailer units are available through our strategically located depots on Wokingham, Coventry and Bridgend offering an unrivalled support and service network. Throughout the year over 1 million event goers will use A1 toilet at some of the most prestigious and outdoor events including. 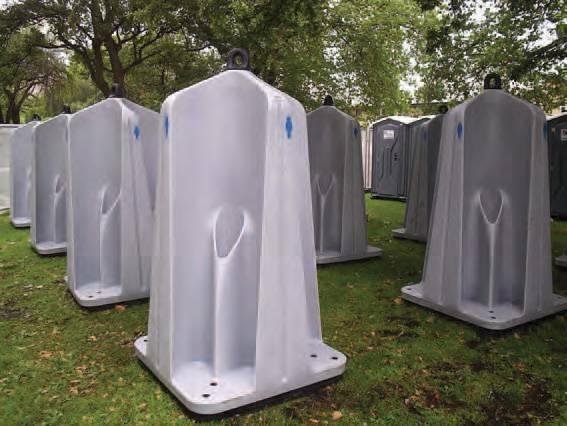 A1 Loo Hire has an extensive range of free standing and street urinals units. 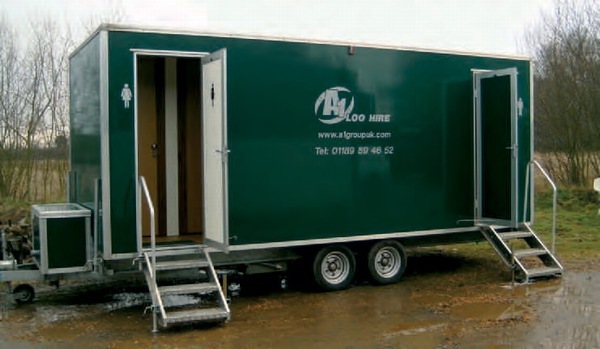 A1 Loo Hire can also provide a range of shower units both in single or trailer format. The modular shower system offers constantuse at a fraction of the power providing showering for up to 8 minutes in a single operation. The single unit provides warm water where only 13amp powers is available. 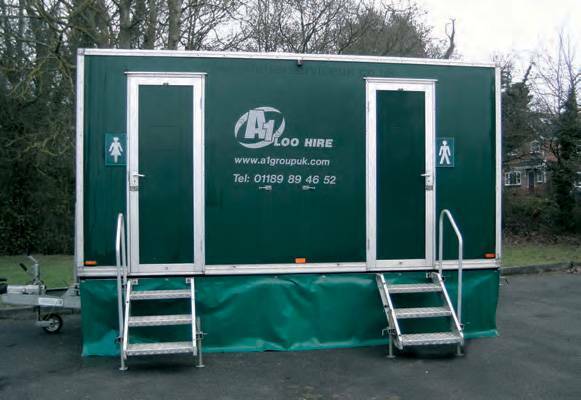 A1 Loo Hire offer a range of male and female trailer units, available in both self contained re-circulating flush options or main connect. These are contained with vanity wash basins, electric lighting and come equipped with hand towels, soap, toilet rolls and tidy bins. 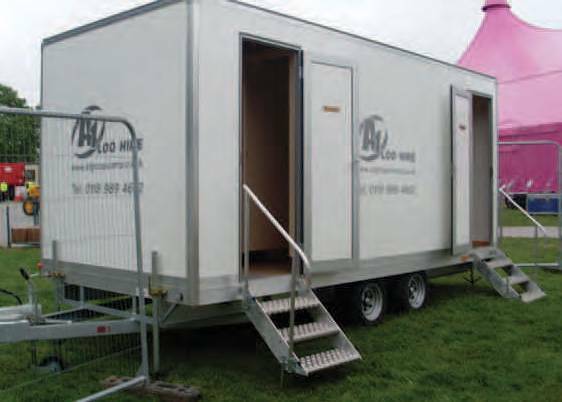 A1 Loo Hire's extensive range of single self contained, free standing toilet units offer a versatile and cost effective solution for all events from a major, national outdoor music event to a smaller regional show. 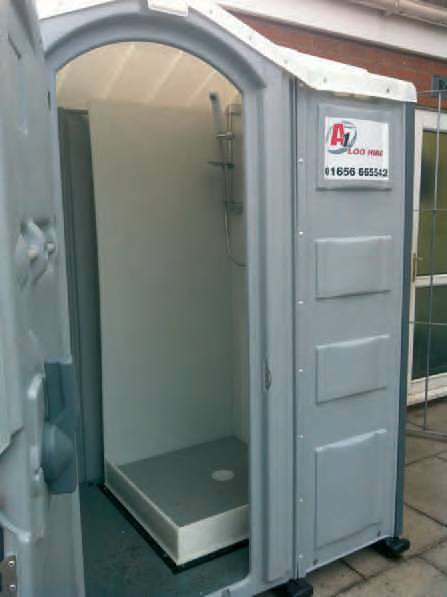 A1 Loo Hire can supply an range of high standard portable disable units constructed to an award winning design with ease of accessibility always in mind. They are compact, easy to move and effortless to maintain, all while meeting strict guidelines with superior ventilation keeping the unit fresh, even with high use and hot climates. We can also provide disabled units with mother and baby facilities. 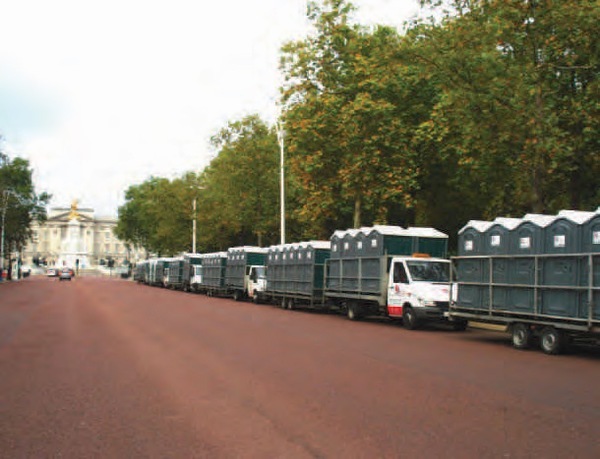 A1 Loo Hire are able to provide the right vehicles to get the job done. Our fleet size ranges from a small 4x4, ideal for sites or events where terrain would prevent a larger vehicle from attending, through to a 6000 gallon 44 tonne articulated tanker. 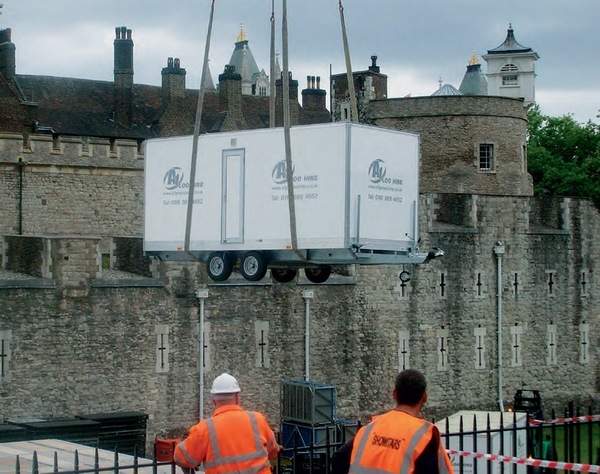 Any other on-site bespoke requirements can be discussed with our specialist service staff.